RB411GL is is end of life (EOL). Mikrotik recommends RBM11G for functional replacement. 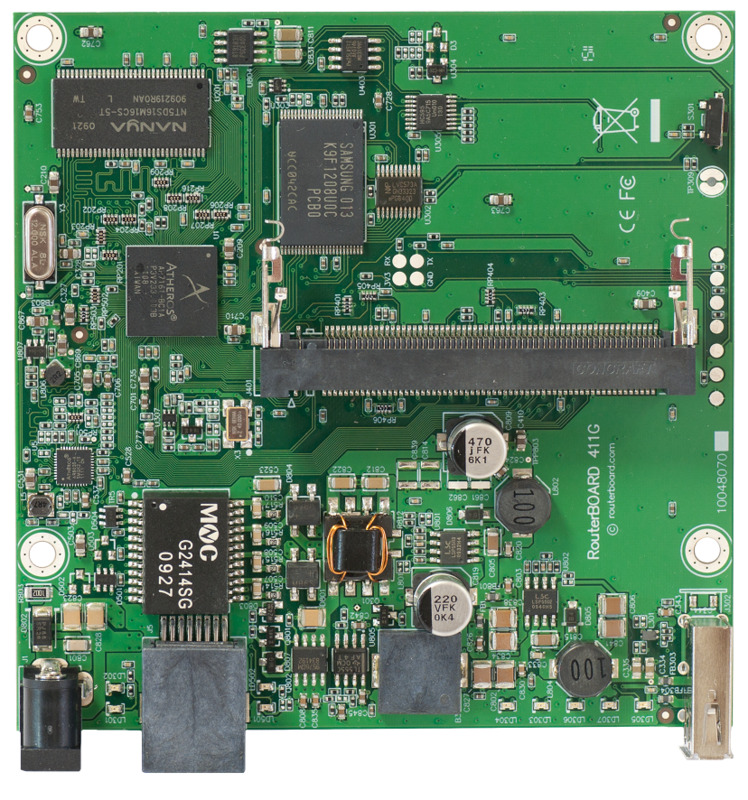 The RB411GL is created for high-end wireless AP, Point-to-Point or CPE OEM applications. It has Gigabit Ethernet port, so you can take full advantage of 802.11n standard. 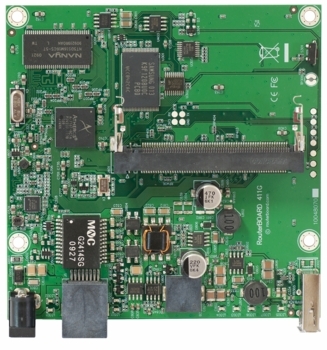 Unit has one miniPCI slot for your choice of miniPCI wireless card, powerful Atheros 680MHz CPU, 64MB of RAM and a USB port for 3G or storage.